Some people need a temporary walking cane while others may need to use a cane more consistently. 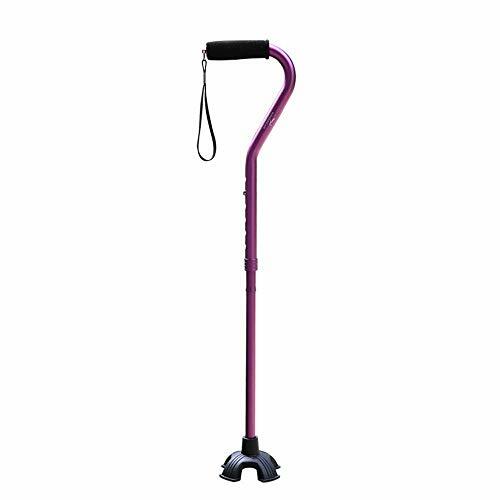 As a Physical Therapist, I recommend walking canes to my patients every week. 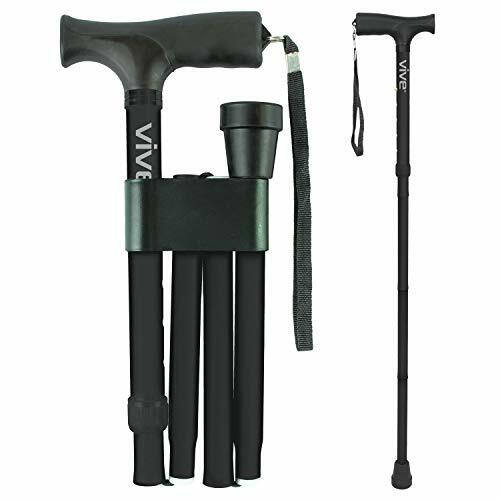 Let’s look at the criteria for selecting the best walking cane for you. Stable – The purpose is to be more stable, so don’t compromise this with fancy features you see with some unique canes out there! Comfortable – I’ve seen some really bad canes. Some really cheap canes just aren’t worth it because of the problems you can develop in your wrist. 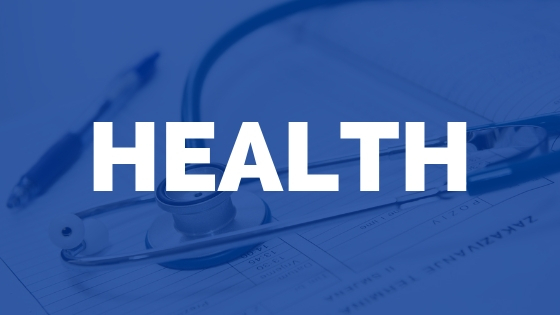 Appropriate – If you’re going to be using a cane for 2 to 3 weeks after hip or knee surgery, then a custom handmade wooden cane probably isn’t necessary. An adjustable single point cane is more appropriate. 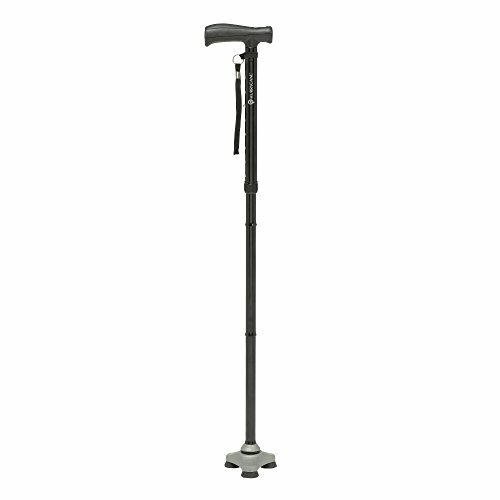 By far the most commonly recommended walking cane for people who simply need a little more stability. 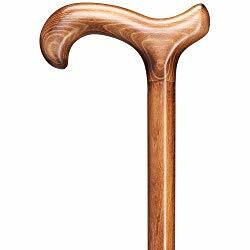 You can find these canes with traditional curved handles, the very comfortable ‘derby style’ handle, and even with an offset handle. 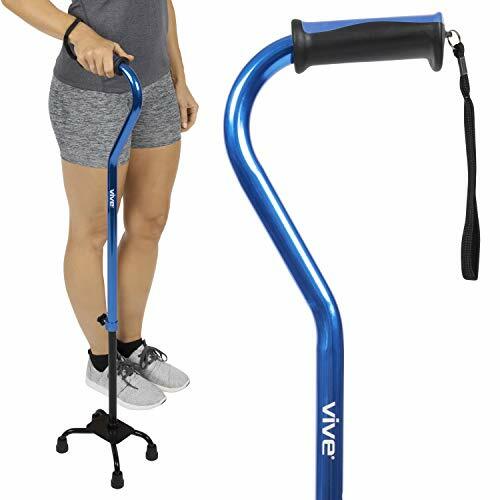 If you need more support than a single cane but not quite as much support as a walker, your PT may recommend a 4 point cane. 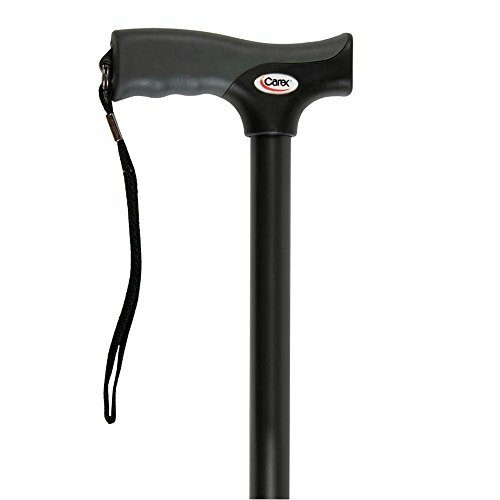 These canes can have the same handle options as mentioned above and can be customized as well. These can be very nice as secondary canes or back up options for your vehicle. 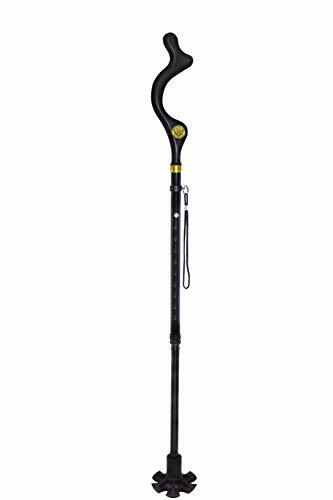 I recommend a solid single point cane for people who need to use a cane for a longer period of time as these folding canes can be compromised with repetitive use for years. There are come pretty cool canes out there, but remember that a cane simply needs to be sturdy, comfortable, and appropriate. Unique walking cane designs and features can be fun, but if it takes away from any of those criteria, it’s not worth it. Let’s take a look at some of the unique cane features I’ve seen. Walking canes with seats are showing up more because of the convenience factor. While these canes may be good for some people, I would not recommend it for everyone. The seats are usually narrow, and a 3 legged design for most of these seats are just asking for trouble. If you used this cane occasionally, I could see having it as a backup cane. But I’d recommend a different cane for everyday use. 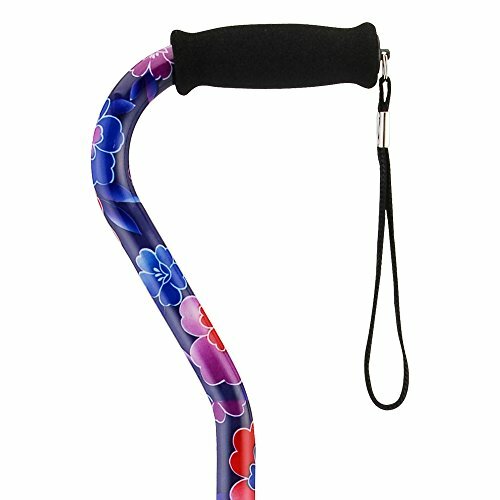 Adding a little color to your walking cane is a fun way to express your creativity and style. 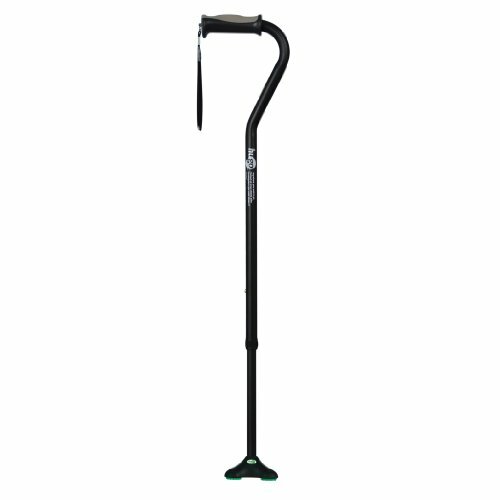 You can find so many decorative walking canes on Amazon or at boutique shops. Just be sure the cane can adjust and that it is sturdy and comfortable. If it looks good but feels taxing on the wrist, it’s not worth it. As a woodworker hobbyist, I appreciate seeing handmade wooden canes. The problem with these canes is that people generally make them too long. Or, they get it from someone else and it’s not sized correctly. In the next section, we’ll talk about sizing a cane correctly and how to use a cane properly. 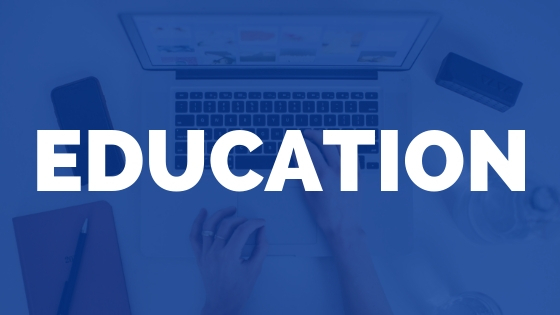 The first step in learning how to use a cane properly is to adjust the cane to the right level. Doing this is easy. Just let your arm hang at your side and look to see where your wrist bends. This is how tall your cane should be. To adjust the cane, unscrew the locking mechanism, press the button in, and slide it up or down so it raises or lowers to the best height for you. Now that you’ve set the cane to the right level, you’re ready for the next step: holding the cane correctly. The proper way to hold a cane is to use it in the hand opposite of the injured or weak leg. 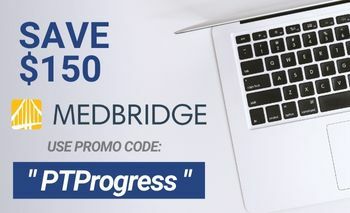 You might be tempted to use it on the same side because you can put more pressure on it. But if you need that much pressure to relieve pain, you probably need a walker instead of a cane. Using the cane in the opposite hand helps to redistribute the pressure to that leg by increasing your base of support. So while it may feel weird to use it with your opposite hand, give it a try as we move onto step #3. When you walk, your right arm naturally moves forward with your left leg and the same is true for the other side. So don’t overthink things here. Simply step forward with the bad leg and the cane will move along naturally at the same time. 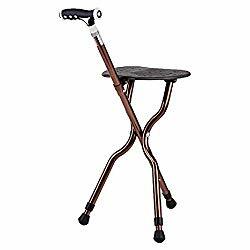 So with every step on the bad leg, you have the cane in your opposite hand to provide counter support, which relieves pressure to the area. What questions do you have about using a cane or finding the perfect cane?